At PrintPack 2019 Kodak will showcase its complete range of printing solutions. In the offset segment, the company will showcase its CtP portfolio and printing plates with special focus on its process free plate SONORA. 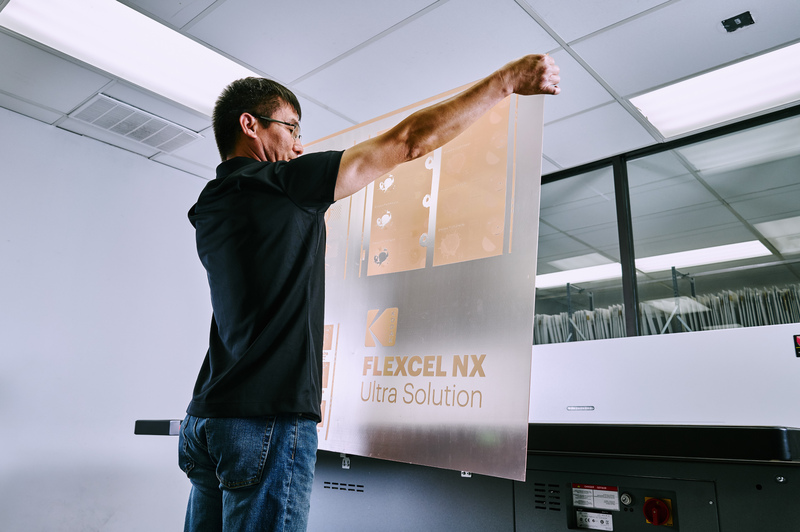 In Flexography prepress, Kodak will present the well established Kodak Flexcel NX solution. “Kodak’s Flexcel NX solution has benefited our customers all over the world by elevating the standard of flexographic printing. Workflow is the heart of prepress and we will expand our conversation on Kodak Prinergy Cloud and the benefits that can be unlocked with investments in the latest in workflow solutions. We will also highlight the strength of our electro-photographic digital printing technologies with the Kodak NexPress platform, which delivers excellent image reproduction and drives productivity. Kodak Prosper Inkjet Imprinting technology is revolutionizing high-speed inkjet printing and we look to showcase this as well,” said Hersh Lulla of Kodak.